Outside of the topics of my dissertation, I have been collaborating on a few side projects. Bedrock groundwater systems in mountains are poorly understood. I have been helping process some samples from one such region in the lab, as well as with digital rock physics. A better understanding of seismic velocity, porosity, and permeability of samples will help model the flowpaths. 2. 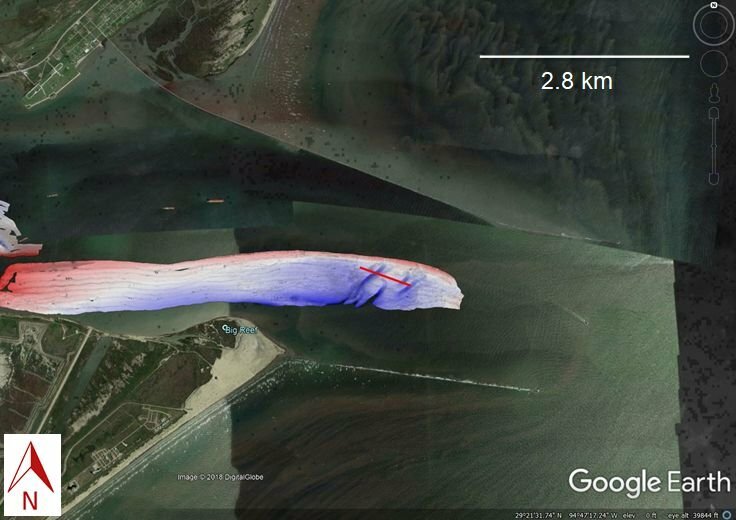 Understanding how hurricanes impact the ocean floor in Galveston Bay. 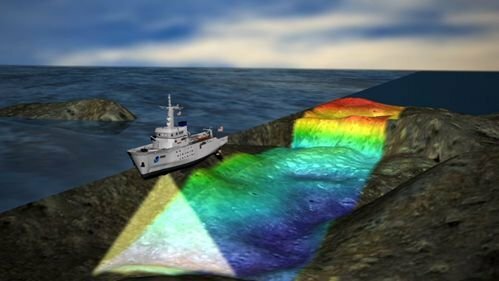 Several years of bathymetry data have been collected in Galveston, as part of UT's marine geology and geophysics field school. e.g. A topographic profile suggests there are several "frequencies" of dunes superimposed. 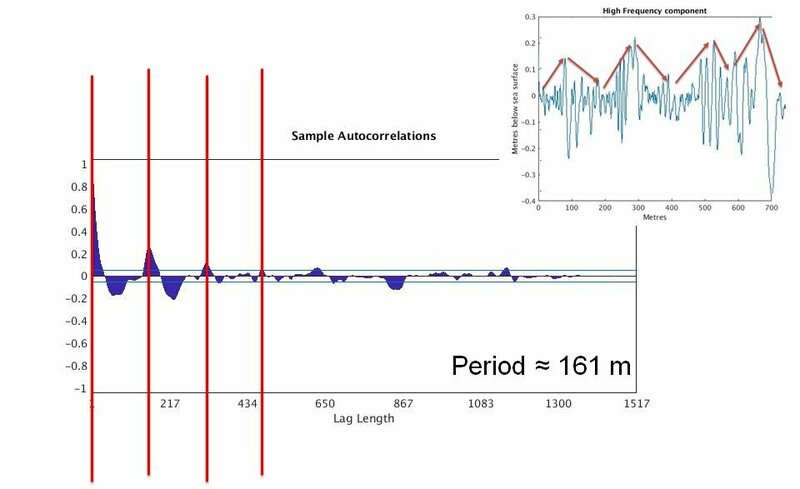 While the naked eye might see only two periods in the oiginal data, three distinct periods were found using these two geophysical methods (310 m, 161 m, and 12 m) . 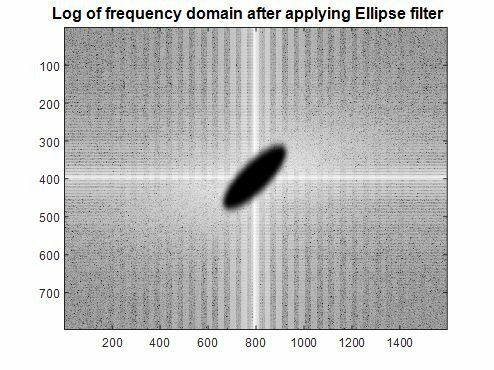 A filter in the 2D Fourier space was applied to help understand the data. Comparing profiles suggest that in most years, the large bedforms do not migrate. 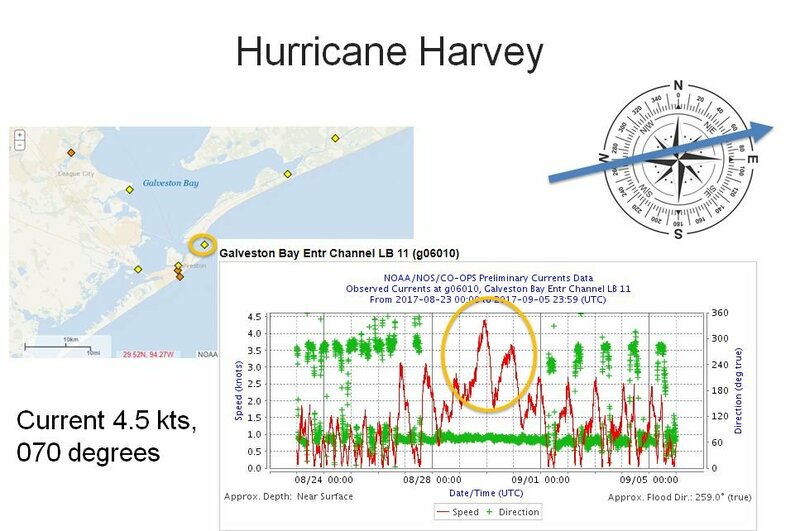 However, Hurricane Harvey shows the dunes migrating landward. After hurricane Ike, in 2008, we observed dunes moving seaward. Hurricane Harvey showed the opposite effect. There is no clear reason as to why this is changing! Furthermore, the current right over these dunes is in a seaward direction during hurricane Harvey. Currently, I am looking into ocean flow models for storms in the region.